Asian e-commerce giant moves into soccer with new acquisition. Alibaba bought a majority share in Chinese soccer* football team Guangzhou Evergrande this summer, and now Rakuten is entering the sport in Japan after agreeing to buy Vissel Kobe, a top-flight J-League club founded in 1995. The Alibaba comparison is actually a little unfair on Rakuten, since the company already has a sports business via its ownership of the Tohoku Rakuten Golden Eagles baseball side. But football is more than a sport (or even life itself), they say. Unlike Alibaba which acquired a majority stake in Evergrande, Rakuten has bought Vissel Kobe outright. It hasn’t revealed a price for the deal though, which is expected to close before the end of the year. There have been links between the two for sometime. The Japanese e-commerce firm has been Vissel Kobe’s shirt sponsor since 2004, and it says that the move will help market its myriad of services in Japan — which includes banking, smartphones and more beyond just online retail. 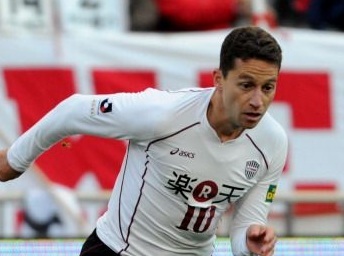 It has also pledged to use its sports “experience” and resources to “strengthen and develop” the Vissel Kobe team. Rakuten may be best known for its e-commerce marketplace worldwide, but this year it has diversified into a number of different areas. It made a big move in the U.S. in September when it bought retailer eBates for $1 billion, having earlier stepped into mobile messaging with the $900 million acquisition of Viber, which came right before Facebook bought WhatsApp. Rakuten has always done more in Japan, where its brand is near-ubiquitous online — and it began offering smartphones via its MVNO telecom service, and invested in budget flight firm Air Asia this summer to introduce its service in Japan. *As an Englishman I’m loath to use the word soccer instead of football, but I appreciate that it makes more sense in the title of this story since most readers will associate ‘football’ with American football.